Last year at the Hope Awards Dinner, each guest received a small, shining key with a quote attached to it. The quotes were given by women at Calvary, who have moved on from Calvary and are living in their own homes thanks to the generous support of donors. Next month, the Hope Awards Dinner will incorporate keys and the meaning behind them in new and different ways. Have you ever looked at your house keys and considered what they mean to you? Keys are commonplace objects, but they can have a powerful significance for a woman who may not have held the keys to their own place for many years. A key can mean safety and security; it can lead to comfort and relaxation at the end of a long day. The sound of keys jingling in a purse or pocket can be music to the ears. Everyone who attends the Hope Awards Dinner on May 14 helps provide women at Calvary the chance to have her own set of keys. Your donation at the event – whether you purchase tickets, become an event sponsor or participate in the silent auction – directly supports the housing, health, education and employment programs at Calvary that empower women to reach their goals. Your contribution provides hope – one of the keys to a better future. 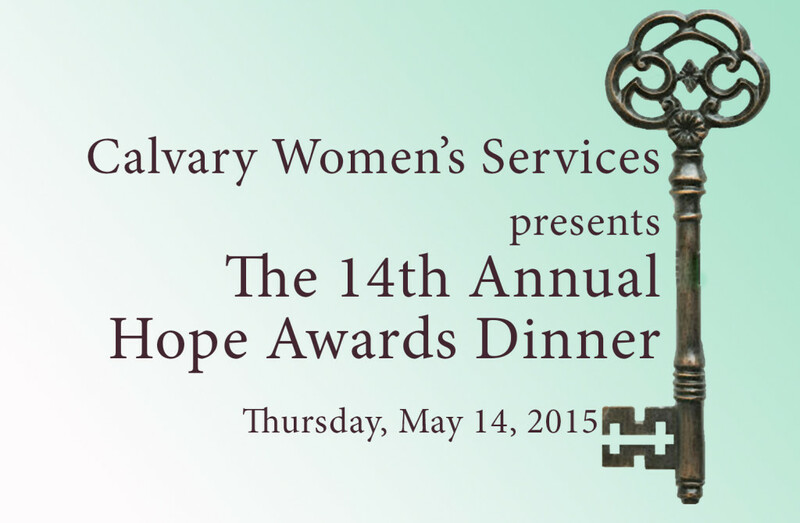 Click here to buy your ticket for the Hope Awards Dinner, and thank you for giving women at Calvary the keys to new life.